Root & Branch play the traditional music of Britain, Ireland and the Appalachian mountains. The band consists of five musicians from both sides of the Atlantic, with diverse influences and backgrounds that create a distinctive and energetic sound. Equipped with fiddles, cello, mandolin, tenor banjo, bouzouki and voices, the band’s repertoire includes fresh interpretations of jigs, reels, old time fiddle tunes, ballads and songs. From intimate house shows to festival stages, Root & Branch have engaged and thrilled audiences across the UK, Europe, the Middle East and North America. In November 2018 Root & Branch released their first full-length album, A Breath Against The Calm, featuring eight tracks of traditional and self-penned tunes and songs from England, Scotland, Ireland and the USA. Folk Radio have called the album "a veritable wall of attitude and understanding that’s couched in a blistering swoon of driven sound, complete with forthright singing and some remarkable and very persuasive musicianship." Buy the CD or digital copies online via Bandcamp. 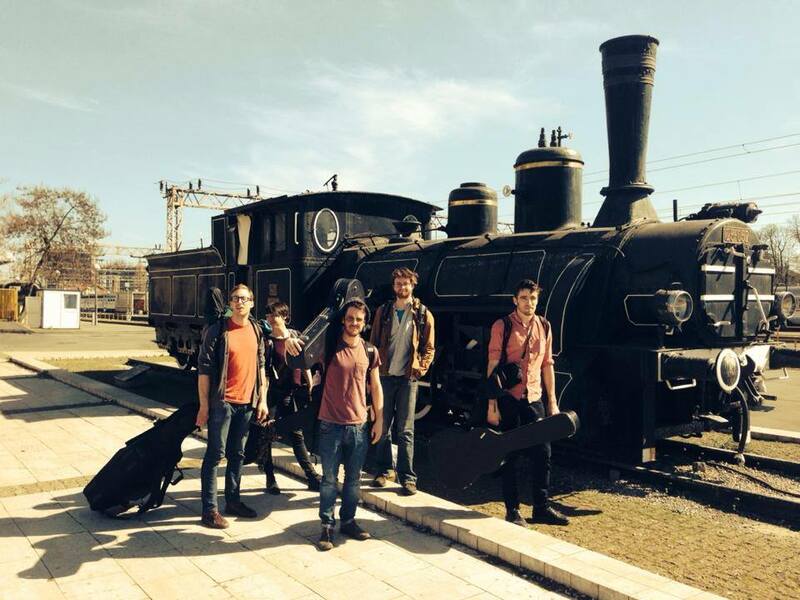 In July 2015 they released an EP, Overground, with five tracks ranging from self-penned tunes and instrumental takes on Scottish puirt à beul, to reworkings of traditional songs from England and the USA. The EP was described as offering a "tremendous, high-octane set replete with fantastic presence and rich, stylish textures" by stalwart folk magazine fRoots, amongst other critical acclaim. If you would like to enquire about booking the band or have any other questions, please get in touch.